sealing device | Badudets Everything Nice! 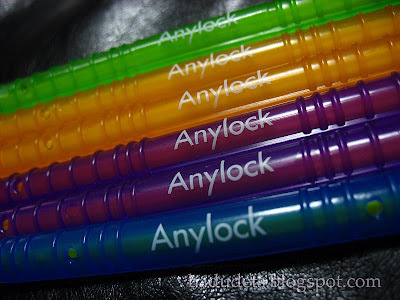 One great find at my recent trip to the 8th World Bazaar Festival is the AnyLock Sealing Device, a fresh new product from Korea. At first glance, you think it can’t do anything because it’s just a plain colorful plastic rod. But this plain looking plastic rod is every housekeeper’s friend. 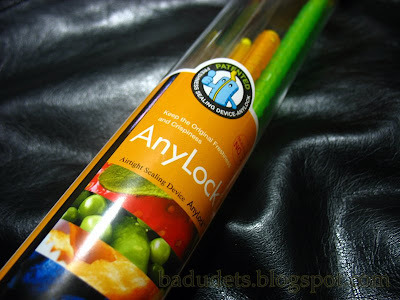 AnyLock is a patented freshness sealing device that locks and seals any plastic bag. This can be used for open bags of chips to preserve its crunch, to seal freshness of vegetables in the fridge, to store leftovers and can also be used when packing your things when traveling. It’s airtight, watertight and odourless. The sealing device comes in a variety of sizes and colors fit for different plastic bags and pouches. 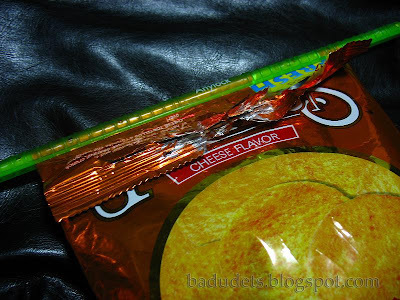 I used mine to seal my snacks. 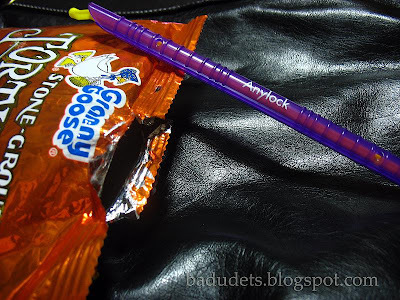 If you want to grab this AnyLock Sealing Device, head on to the 8th World Bazaar. The distributor don’t have a physical store yet in the market and they’re just starting. Price ranges from Php 100 (small sizes) to Php 350 (6 pieces with assorted sizes).